Choose SWAN for Denver American Standard air conditioner repairs, installation and replacement when experience and outstanding customer service are important to you. American Standard is one of the top brands in the HVAC industry, but repairs are sometimes required, especially to older units. 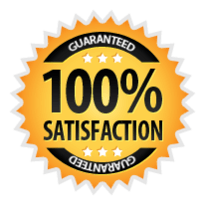 For all Denver American Standard air conditioner repairs, we provide our customers with a written estimate for them to approve before any work is done. We do this to ensure that there are never any unexpected costs. Our upfront pricing is just one aspect of our commitment to provide you with reliable service you can trust. When the unit is old or requires expensive repairs, we can provide you with a written estimate for air conditioner replacement with an efficient, high-quality American Standard central air conditioner. An American Standard air conditioner is an excellent choice for new construction and for AC replacement because of their premium quality and durability. American Standard is consistently one of the top-rated HVAC brands, and it backs its air conditioning and heating units with some of the best warranties in the industry. Good: American Standard Silver air conditioners offer single-stage cooling, basic efficiency and the lowest cost. They are a good choice for cooling space that isn’t used daily. Better: American Standard Gold air conditioners offer the option of single-stage and two-stage cooling, high efficiency and moderate cost. These are the brand’s most popular air conditioners for use in the Denver metro area. Best: American Standard Platinum air conditioners offer two-stage and variable-capacity cooling, very high efficiency at a higher cost. These are the right choice when cutting your energy use and cost while making your home very comfortable are your top priorities. This selection gives you choices for energy efficiency (including many models with an Energy Star rating), climate control and cost. It doesn’t always make sense to install the most efficient, highest performing air conditioner, and we won’t try to sell you what you don’t need. It doesn’t matter what brand air conditioner you currently have. American Standard air conditioner replacement in the Denver Metro Area is a choice that will work with your existing HVAC system and ducts. American Standard air conditioners run most efficiently and durably when they are maintained on a regular basis. This can also prevent a costly repair from happening in the middle of a stretch of scorching Denver weather. When you become a Swan Denver Club Member, you will receive substantial discounts on repairs and new installation, emergency service when needed, an annual air conditioner tune up and additional benefits for your HVAC system and plumbing. Check out our Club Membership page for all the details. American Standard makes complete HVAC systems that include air conditioners, heat pumps, gas furnaces, air quality equipment, thermostats and home automation that allows you to control your HVAC system from a smartphone or device. The benefit of a complete American Standard system is that the components are designed to work together to optimize indoor comfort and energy efficiency. We would be happy to provide you with a free written estimate for complete American Standard air conditioning and heating installation in Denver or nearby cities. The best air conditioner repair, replacement and installation in Denver is just a call or click away. Contact us, and we will be on the way with American Standard AC service provided by a skilled and certified professional at a price you’ll love.